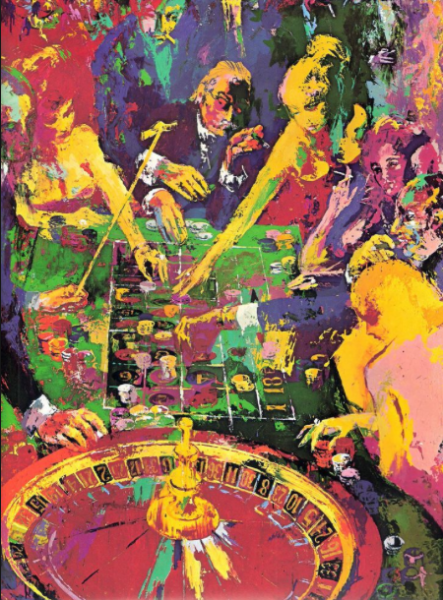 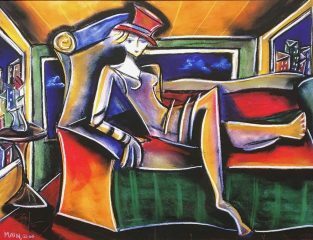 Neiman lends his impressionist style to the roulette table here in this beautifully colored print from 1974. As with all of Neiman’s gaming paintings, the focus is clearly on the cast of gamblers, smokers and socialites crowded tightly around the action. 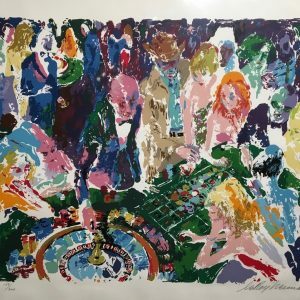 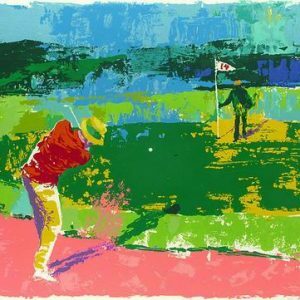 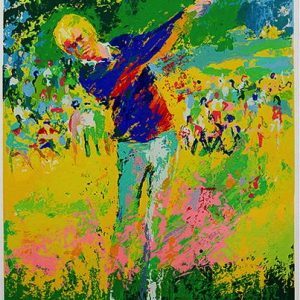 This limited original serigraph is from a small edition of only 300 works and is hand signed in pencil by the artist.